Living in the moment is darn simple if you look up to children as role models. They epitomize the spirit to let go, have fun and simply be. They therefore are happy despite their circumstances. Last evening we were sitting in a doctor’s clinic, waiting for our turn to be called in. A child, about 5 years old, who was playing around the waiting room, suddenly fell off a chair and hurt her head. She wailed for a few minutes. But as soon as her mother consoled her, she stopped crying. It was a bad fall. Because we could hear the impact of the child’s fall – of her head banging on the floor. It was more than an ordinary “thud”. In fact, I had expected the child to continue to wail. But she stopped. And immersed herself in flipping through a magazine which was lying around. Obviously she could not read. She was too young. Besides she was a child that came from a less privileged background. Looking at her mother I even wondered if she would get a decent schooling at all. Also, the magazine she held in her hand was in English. But what was interesting was that instead of focusing on the pain that she had been inflicted, owing to the fall, the child made herself busy reading aloud a make-believe story to herself from the magazine – just stringing her thoughts around the pictures she saw. Her spirit and her narrative were both engaging. Although, from where I was sitting, I couldn’t see the magazine, I really liked her story. And in some time, I even lost myself to the moment – forgetting that I was at the doctor’s in the first place because I had a nagging physical condition that needed review. Why is it that we adults are unable to get up and get going when we fall – either physically or figuratively or emotionally in Life? Why is it difficult for us to let go and immerse ourselves in the moment – finding both enthusiasm and joy in what is? Perhaps, a simple reason why we get affected by any form of pain, as in a physical fall or an emotional situation, is that we don’t treat events that happen to us as just events. The child was able to get over the fall and its painful impact because she subconsciously treated it as a simple event. She moved on to the next one. Which was about story-creating and story-telling! We would have clung on to the pain, analyzed its causes, its consequences and found a zillion ways to opinionate why the incident causing the pain must never have happened. And so on and on. Resultantly, we don’t even recognize the opportunity in each moment. We may be physically present in a moment but are mentally stuck in the past, in the pain. 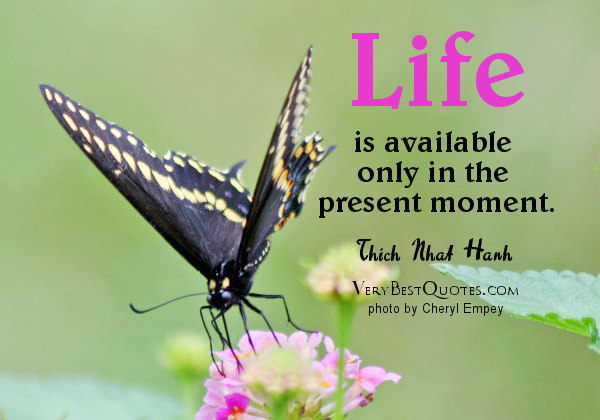 In the present, only reality, only the moment exists. The mind does not exist in the moment. The difference between children and us is, they are forever engaged with the present, with what is. They simply refuse to remain enslaved to their minds! Perhaps that’s a lesson worth thinking about and possibly imbibing?